Details are hard to come by at this time, but the new uberbike is a 1000cc Inline-Four with which the Bavarian firm will contest the 2009 World Superbike Championship. In a speech delivered April 16th in Munich, BMW Motorrad President, Hendrick von Kuenheim explained the new S1000RR as one part of an ambitious goal by BMW to increase motorcycle sales "by approximately 50 percent by the year 2012 to 150,000 units." Road racing and a true sportbike in the form of the S1000RR are one part of the growth equation, the other part is expected from a bigger share of the enduro market through the recent acquisition of Husqvarna. But back to the S1000RR. The German marque is entering into the Superbike realm to get a slice of the Japanese-dominated pie. 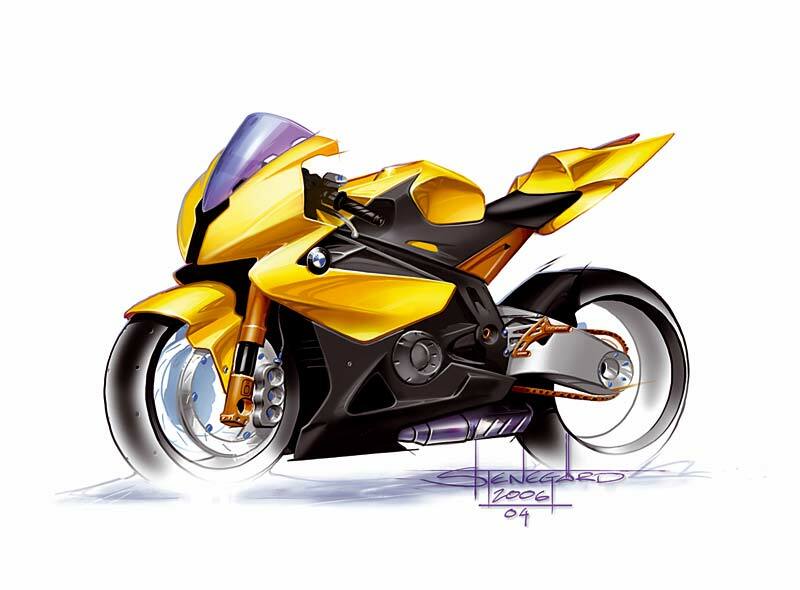 Citing an 85% share of the literbike market by the Big Four, Kuenheim acknowledged the ambitious nature of a BMW superbike entry. "We naturally realize that we are taking on a great challenge," said Kueheim. "Particularly the Japanese are some 20 years ahead of us in this class and have lots of experience. But even so, the spirit of this competition alone encourages us in our efforts." The Motorrad Press went on to state the company expects to run in the top 10 during next year's championship and be contending for WSB victories by 2010. As for the S1000RR spec sheet, Kueheim didn't go into detail saying, ""Since we are still in the middle of the development process, it would be too soon to mention any specific technical data." But... We do know for sure it's a Four, with Kueheim promising "the engine will of course offer a number of special features, especially on the cylinder head." BMW's Duolever suspension is out, with a more traditional fork obvious up front. 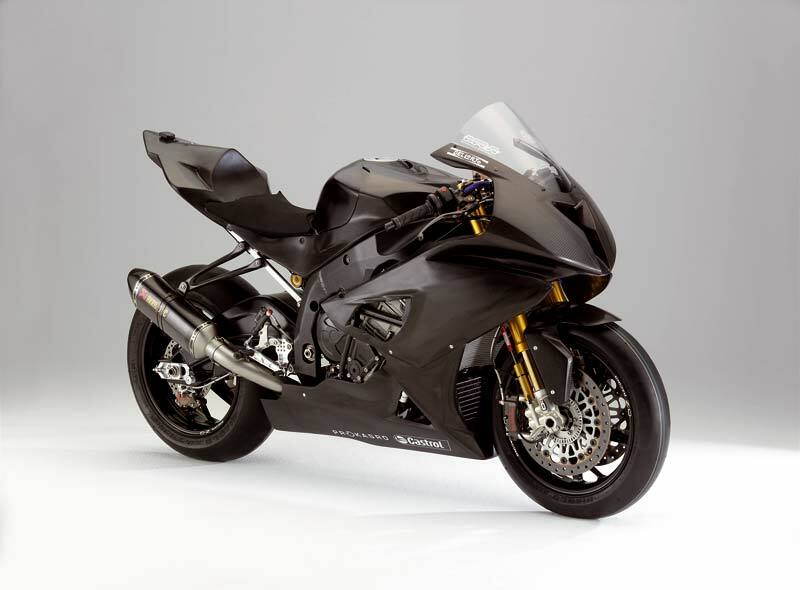 The BMW President also promised the new superbike would have "special traction control." BMW's spokesman Rudolf Probst mentioned that the S1000RR will have around 190 hoursepower. 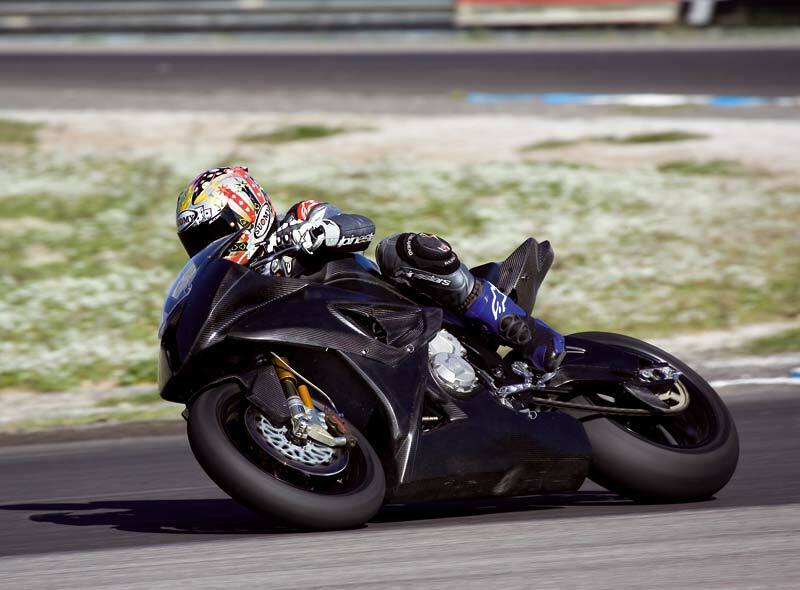 As to when the BMW S1000RR will be storming a road near you, don't expect it anytime soon. What we do know for certain is BMW has promised 1000 units will be produced by the end of 2009 to conform with WSB homologation rules.